Living... in poverty in Chicago. Jupiter lives with her mother and extended family in her cousin Vassily’s house. Before Jupiter was born, her parents lived in St. Petersburg, Russia. But her father was killed in a random armed robbery, so her mother – while pregnant with Jupiter – escaped to the U.S. in search of a better life. Profession... housemaid, along with her mother and aunt. Jupiter is unhappy with her unglamorous job and aimless life, but she doesn’t know what she wants to do about it. Right now, all she wants is a brass telescope like the one her dad used to own. But because it is really expensive, Jupiter agrees to her cousin Vladie’s plan to sell her eggs at a fertility clinic. However, that plan goes haywire when aliens attack her at the clinic. Interests... astrology, sort of. In her words: “The problem with astrology? Total bull----.” However, the brass telescope and astrology are two of the few connections Jupiter has left with her dead father, so they still mean a lot to her. Relationship Status... single, sadly. Jupiter feels that she’s been unlucky with love, but she isn’t afraid to pursue potential love interests. One of said love interests is Caine Wise, an alien who saves her from the other aliens that want to kill her. Personality... principled, resilient, and caring. 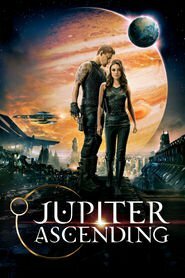 Despite being thrown into a dangerous situation with aliens of all sorts that she didn’t even know existed, Jupiter struggles to understand and make the best decisions. She’s prepared to sacrifice herself for her family and for the greater good. Jupiter Jones's popularity ranking on CharacTour is #399 out of 5,000+ characters. See our top-ranked characters and read their profiles.